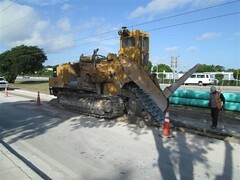 Redland owns one of the largest fleets of chain type track mounted trenchers in South Florida. 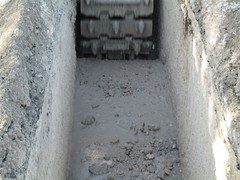 These specialty trenchers have the unique ability to excavate the local limerock strata for utilities. 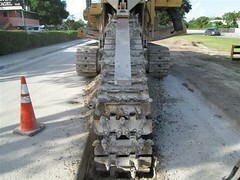 This technique is especially useful in the Florida Keys, where the coral rock and limerock is extremely hard which causes added difficulty for standard excavators. Redland’s entire fleet is composed of Vermeer trenchers. 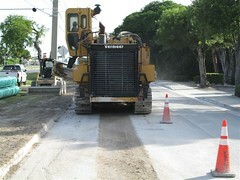 Vermeer is world renown for making high quality, large trenchers. 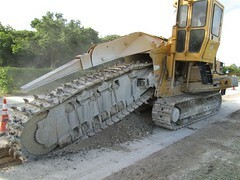 Redland maintains these trenchers with its in-house equipment fleet and is supported by Vermeer’s parts supply, when needed. 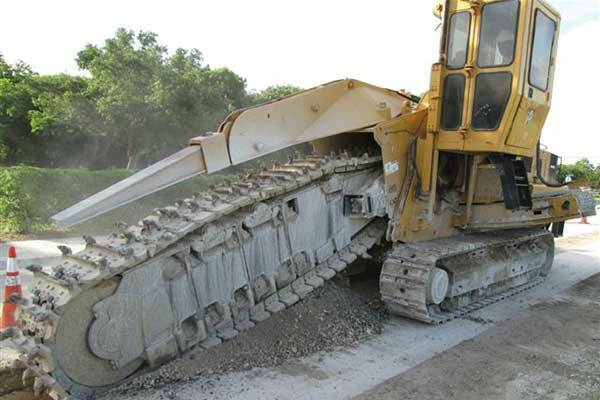 Redland also has access to other types of trenchers to supplement its fleets when needed. However, the benefit of Redland’s rental access is found in the Company’s experienced operators with local knowlege and the skills necessary to work in the South Florida and Keys rock conditions. 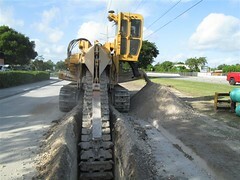 These trenchers have been used successfully on large utility projects such as the Village of Islamorada Wastewater, a nearly $100 million Design-Build-Operate-Finance (DBOF) project. The project comprised over 15 miles of new utility trench completed in varying soil conditions comprised primarily of extremely hard coral and limerock. 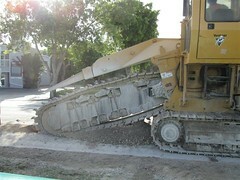 See video of a 955 trencher operating on the Islamorada job.